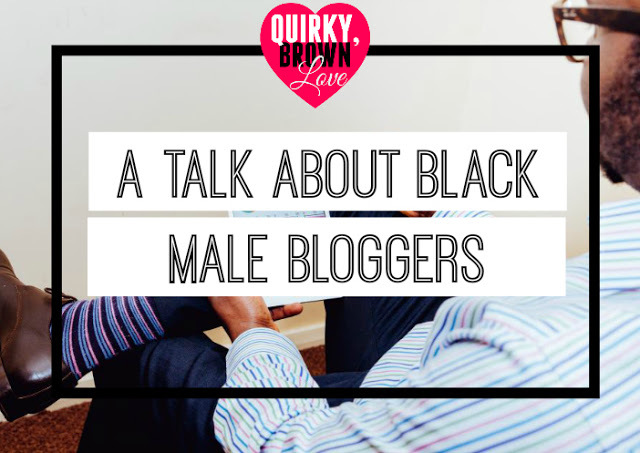 So recently I sat down with Quirky, Brown Love for my take on male black bloggers and what's going on with them in regards to their current status. I also got to share briefly who I was to her readers and it was a pretty awesome opportunity to go on a try to provide how I feel about a couple of things. You guys know me and how much I love to talk, so don't worry about there not being any kind of depth. She asked the perfect questions and gave me ample time to elaborate on each one. So I thank Quirky, Brown Love for all of the love and support throughout the past year in that regards. Make sure you support here and click here for my interview with the site: Black Male Blogger, Devon Young Talks Inspiration and Why Black Men Don't Blog. I love feedback as always, and I'm sure she'll love the commentary as well.